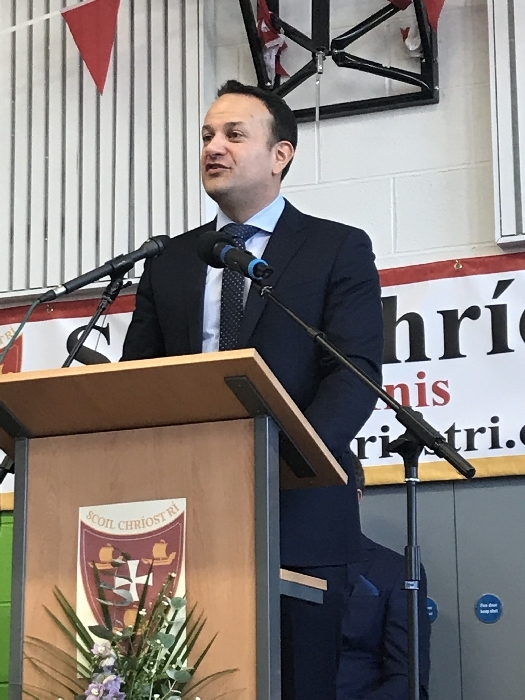 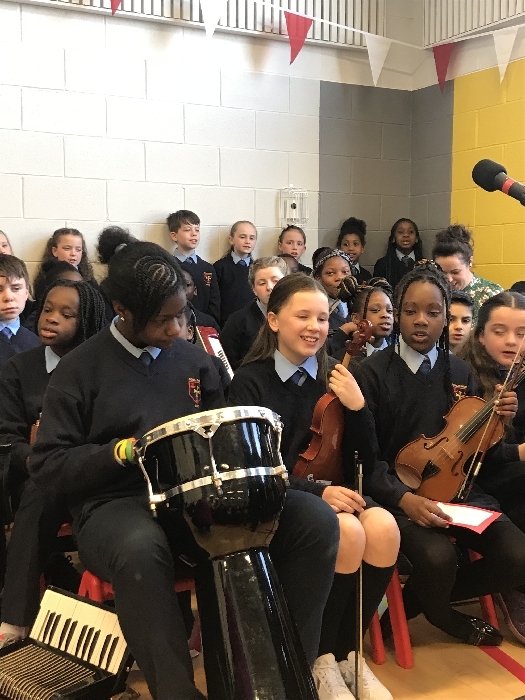 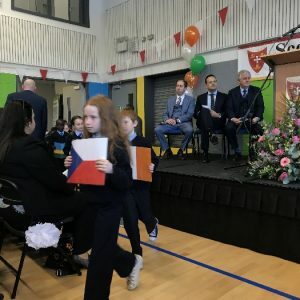 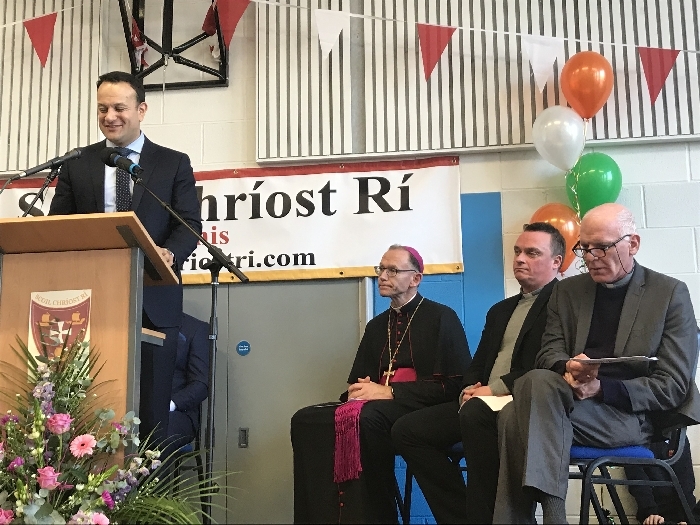 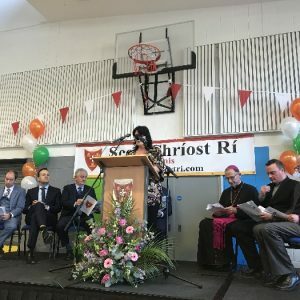 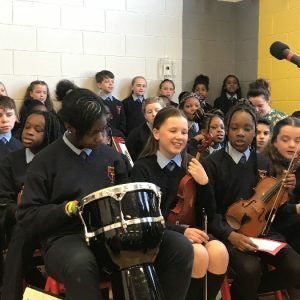 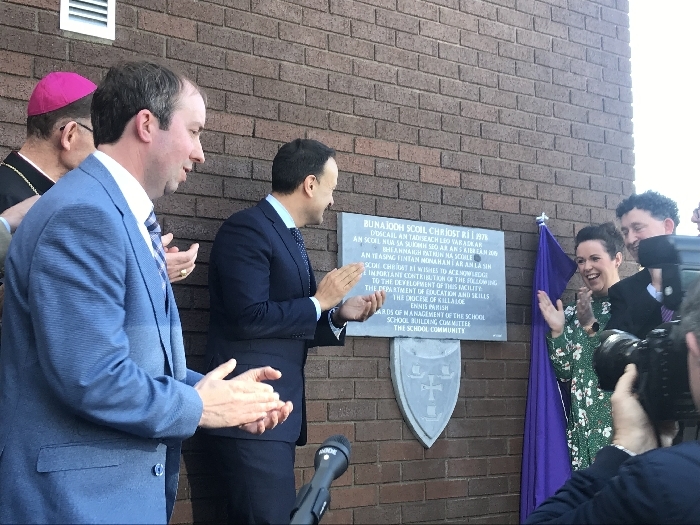 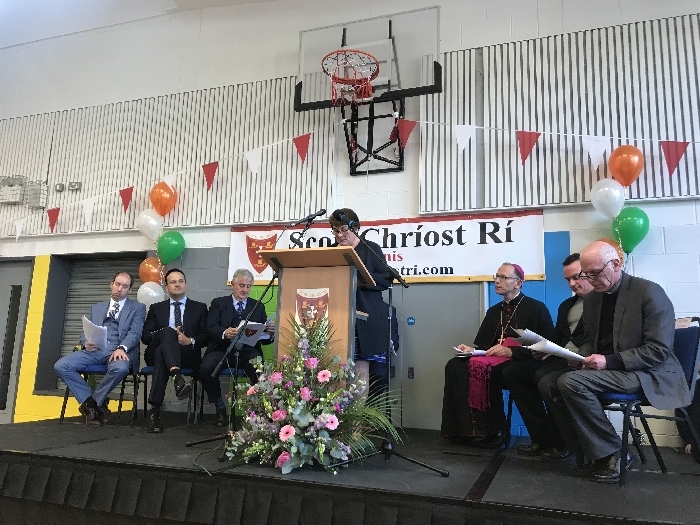 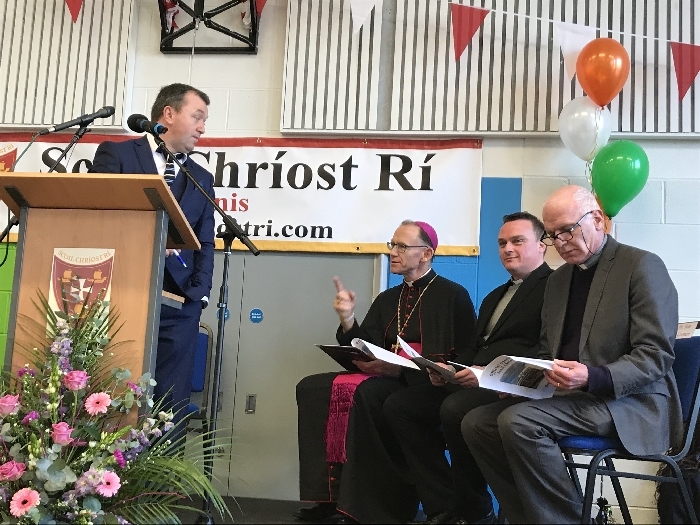 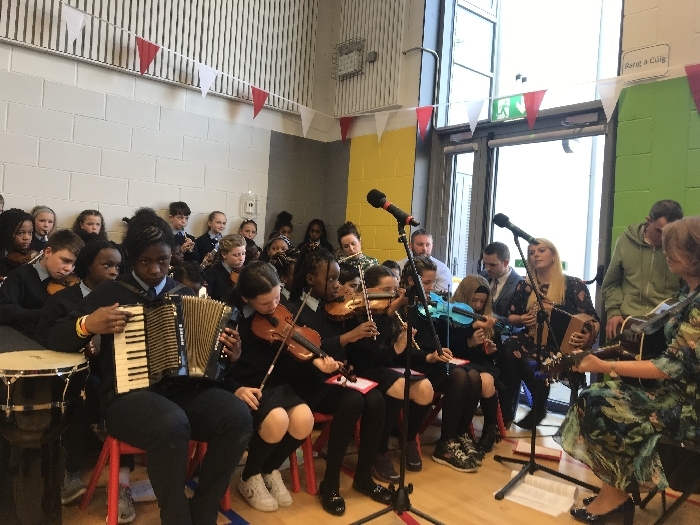 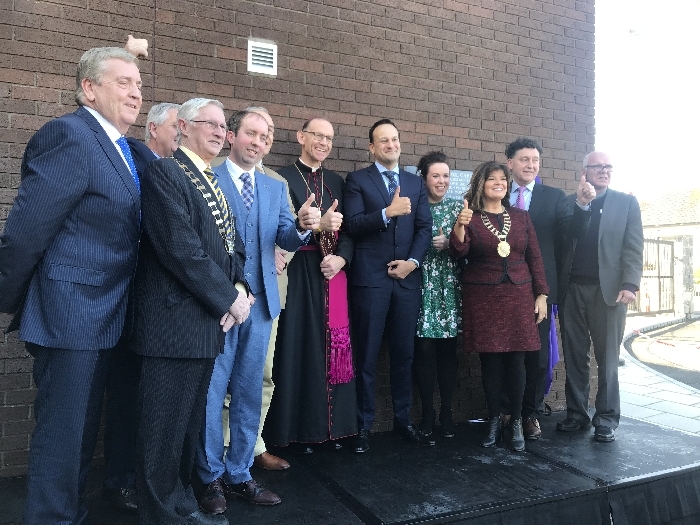 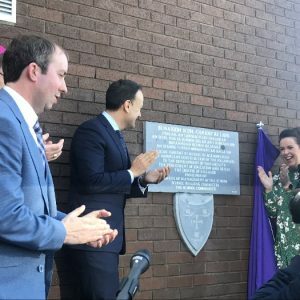 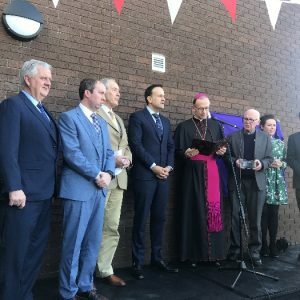 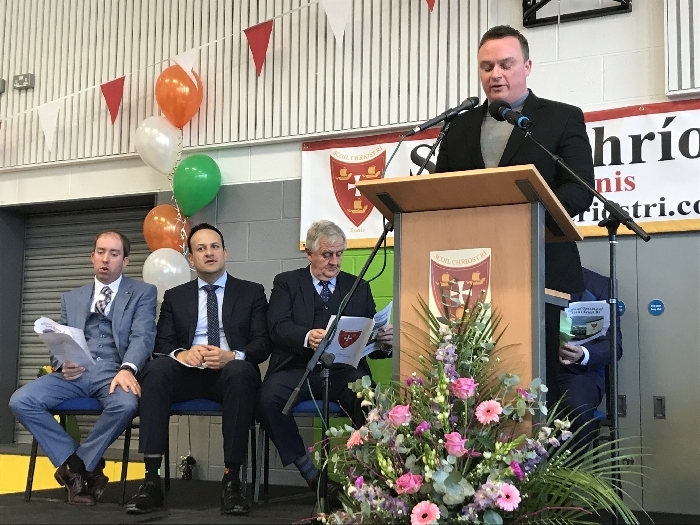 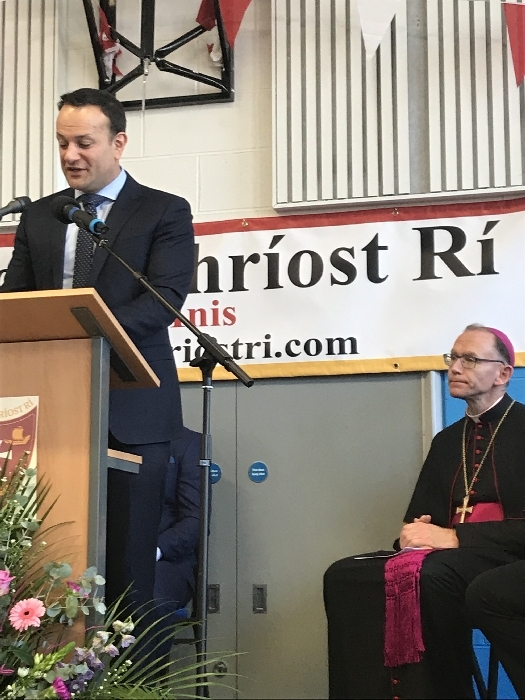 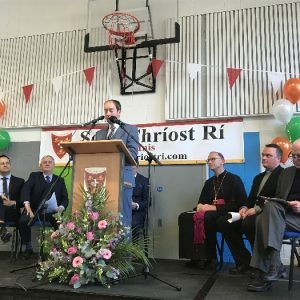 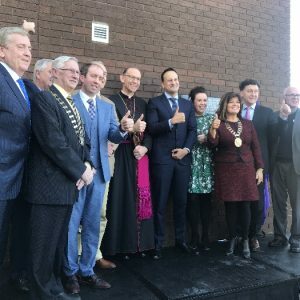 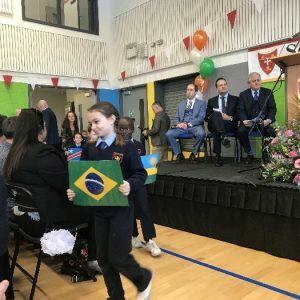 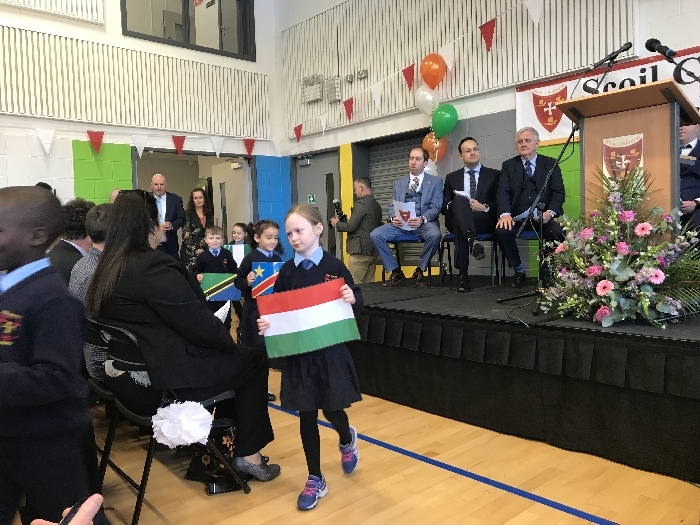 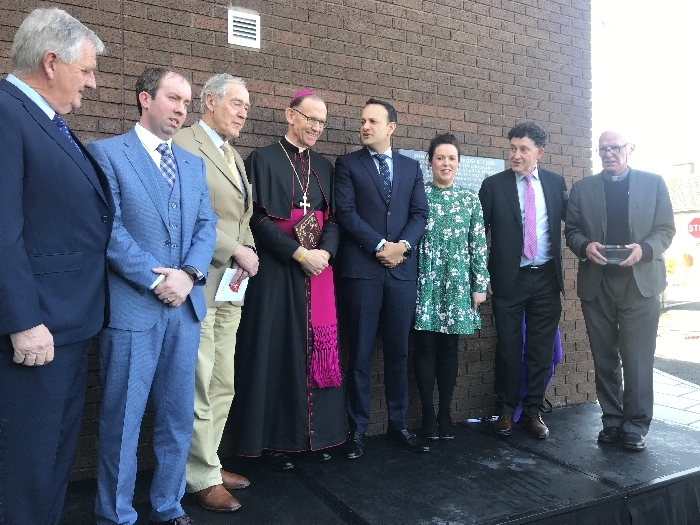 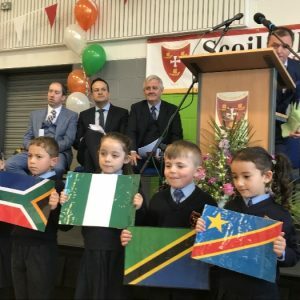 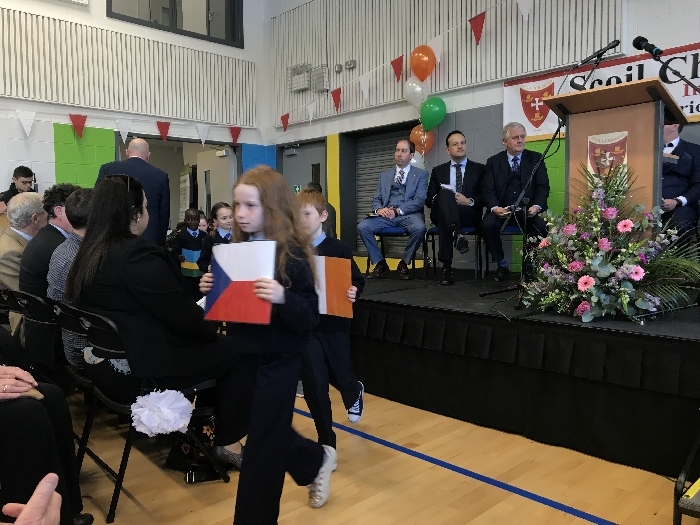 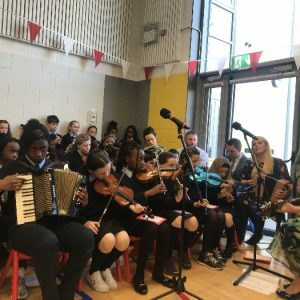 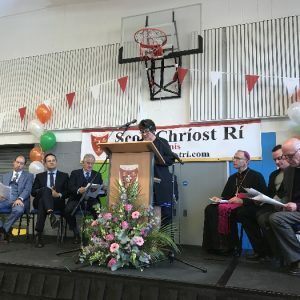 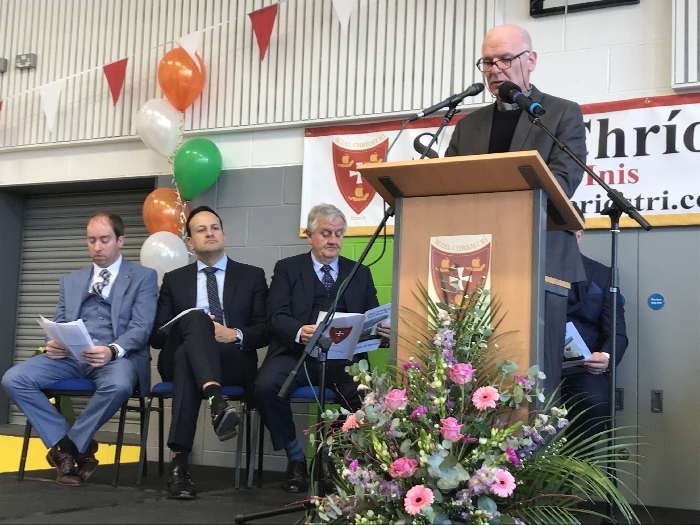 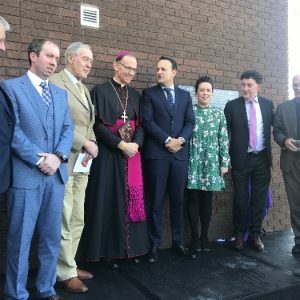 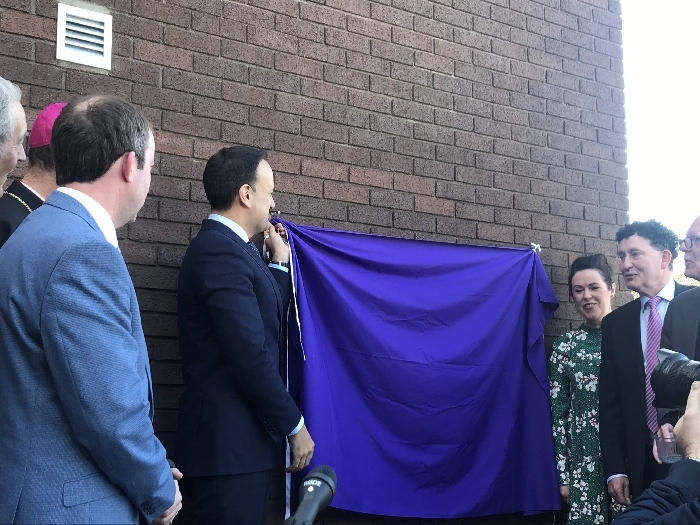 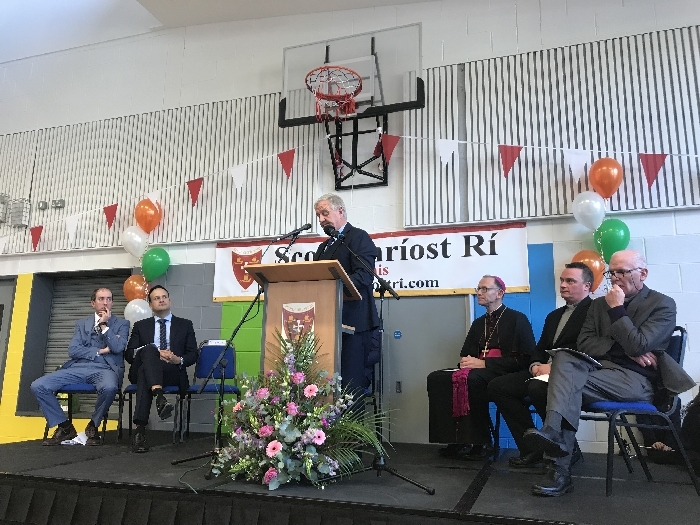 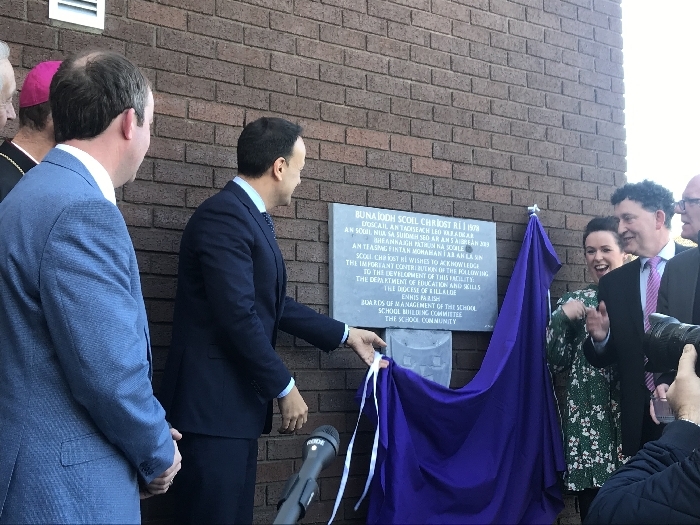 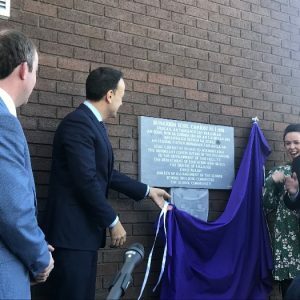 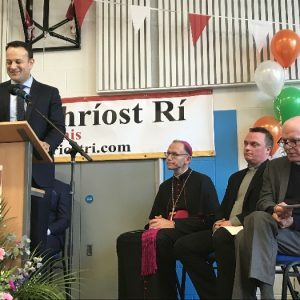 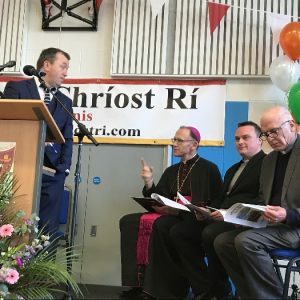 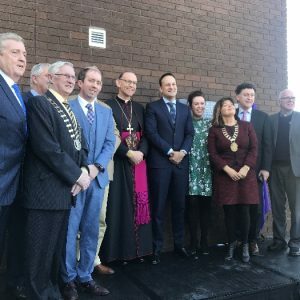 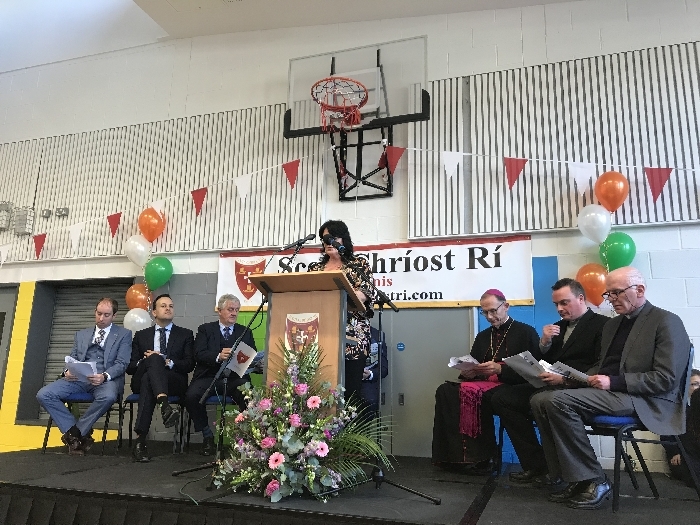 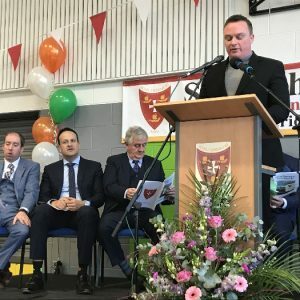 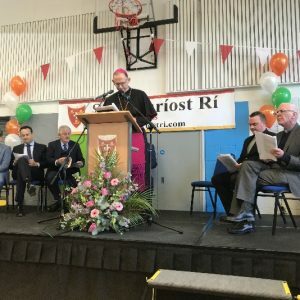 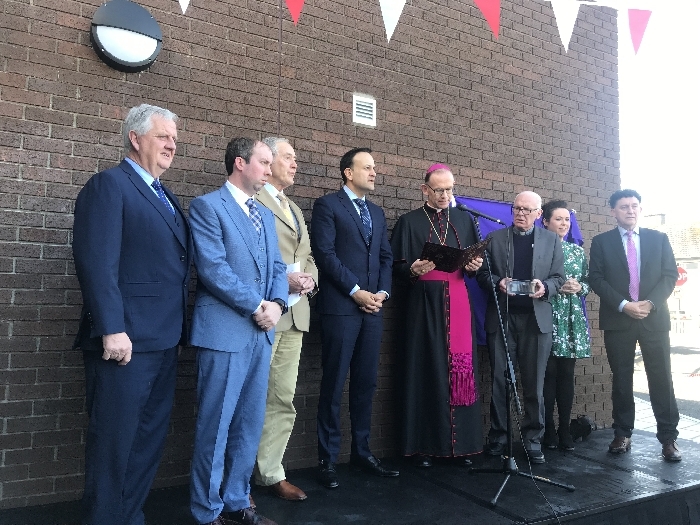 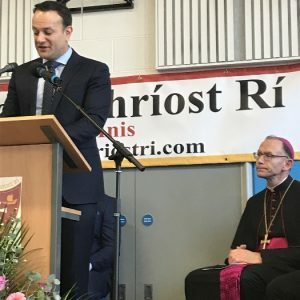 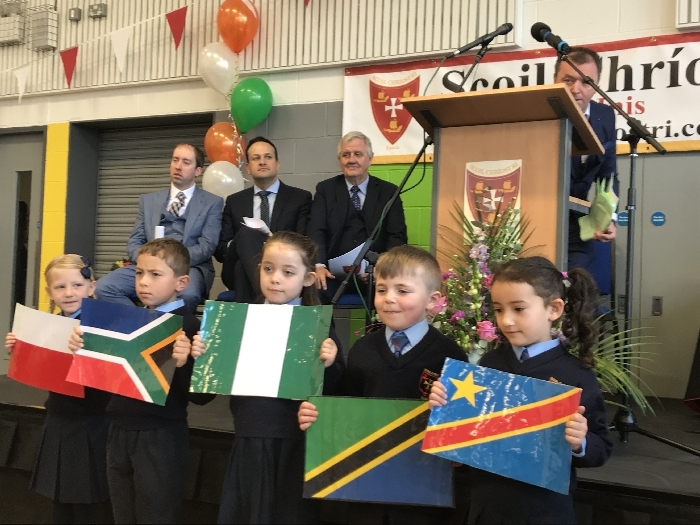 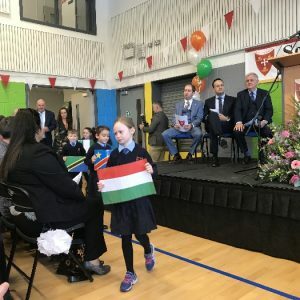 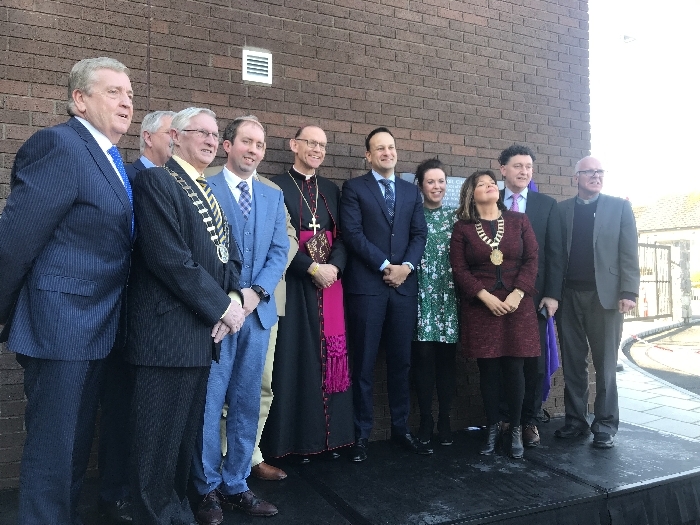 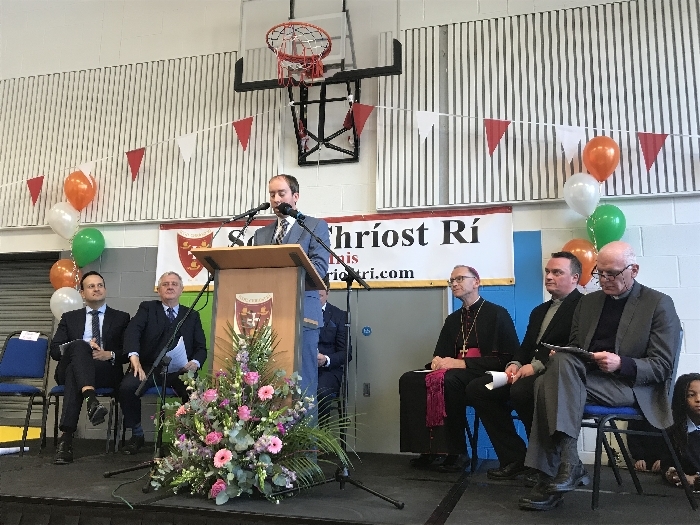 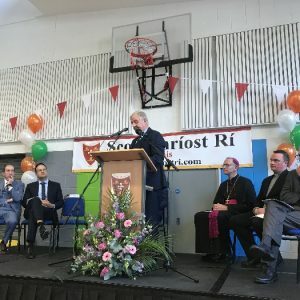 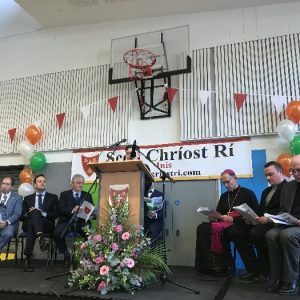 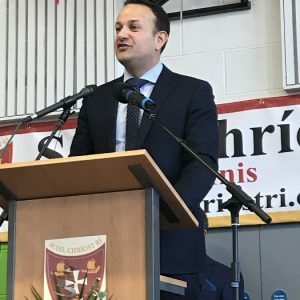 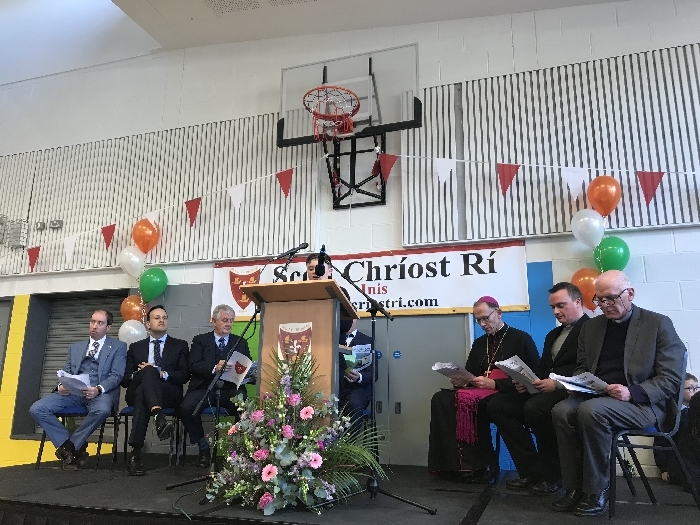 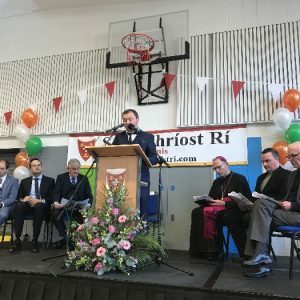 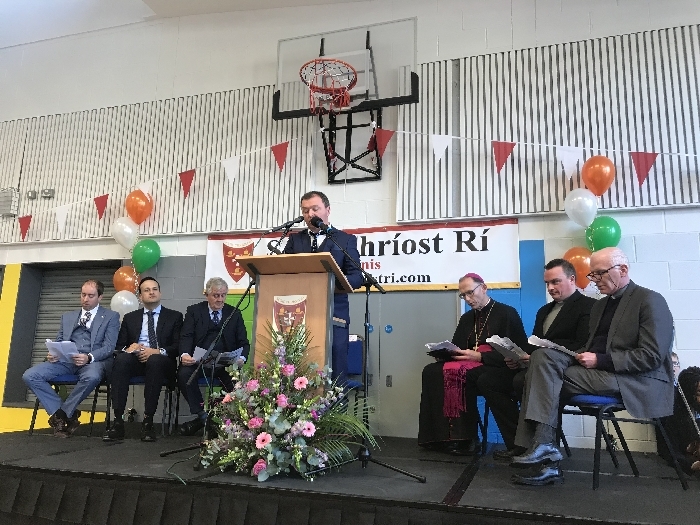 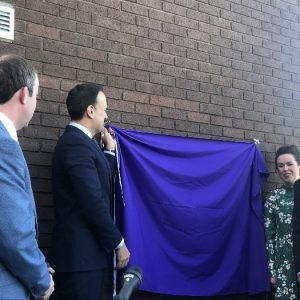 An Taoiseach Mr Leo Varadker TD officially opened Scoil Chríost Rí at a ceremony in the school on Friday 5th April 2019. 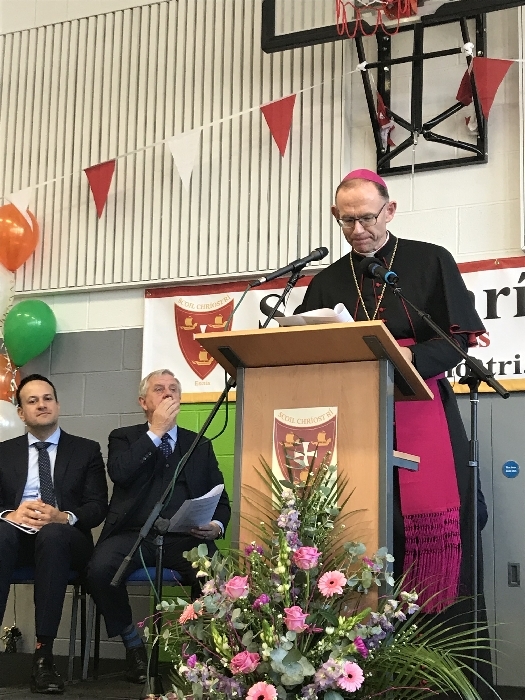 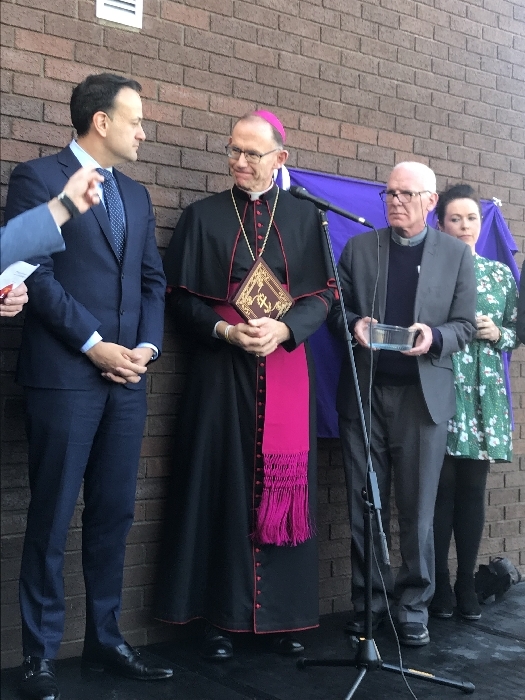 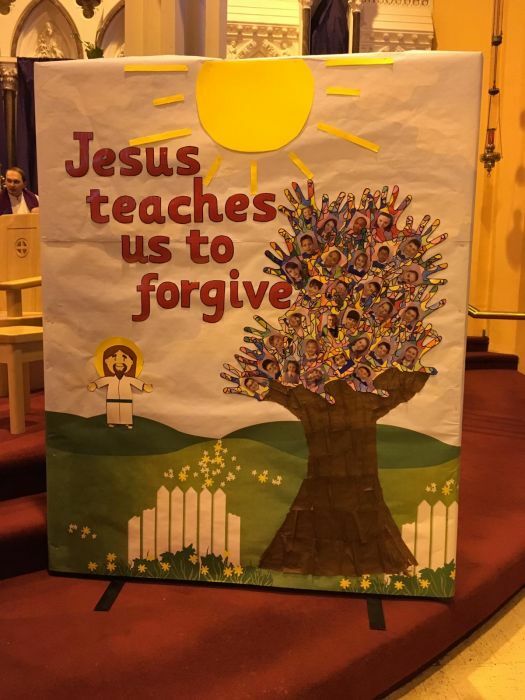 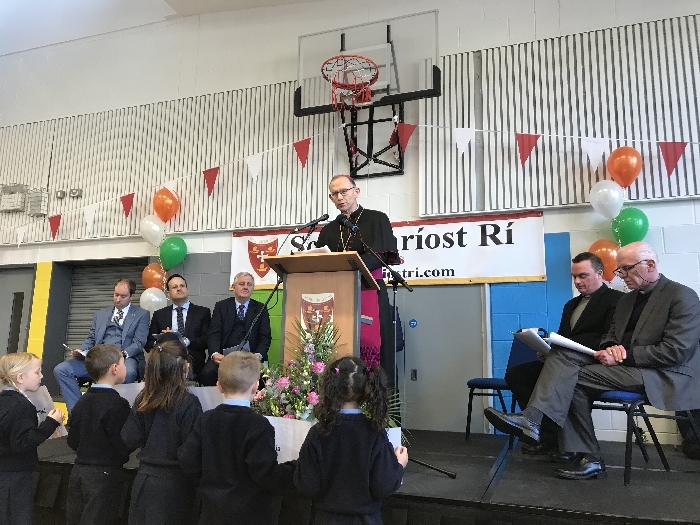 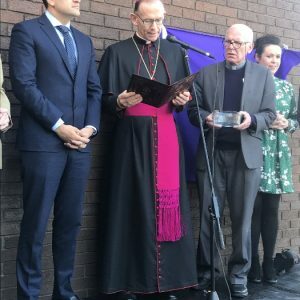 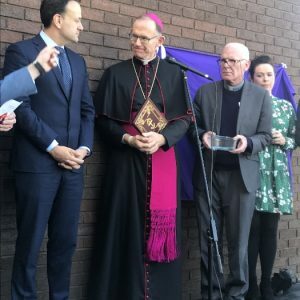 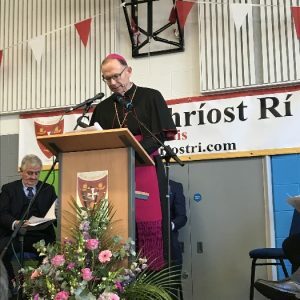 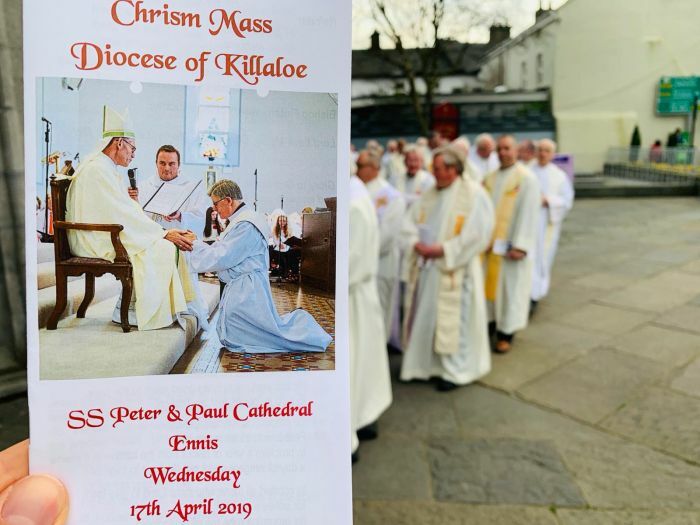 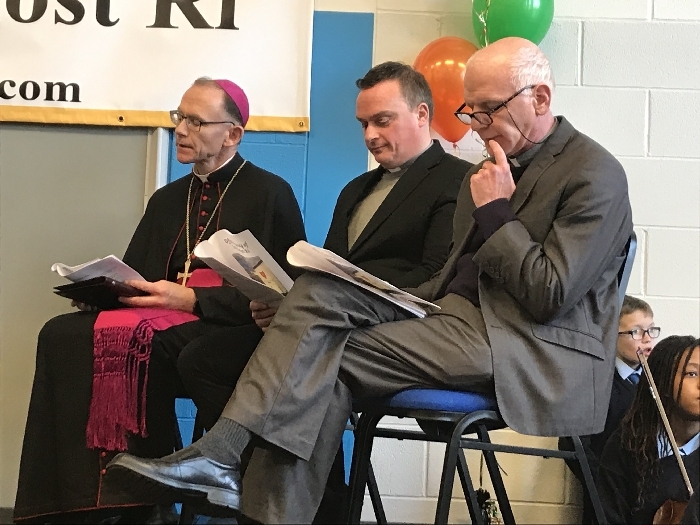 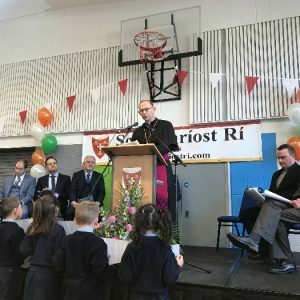 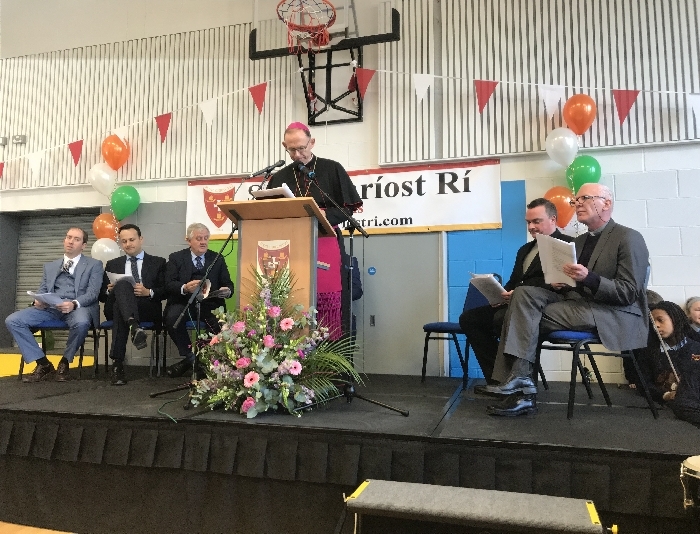 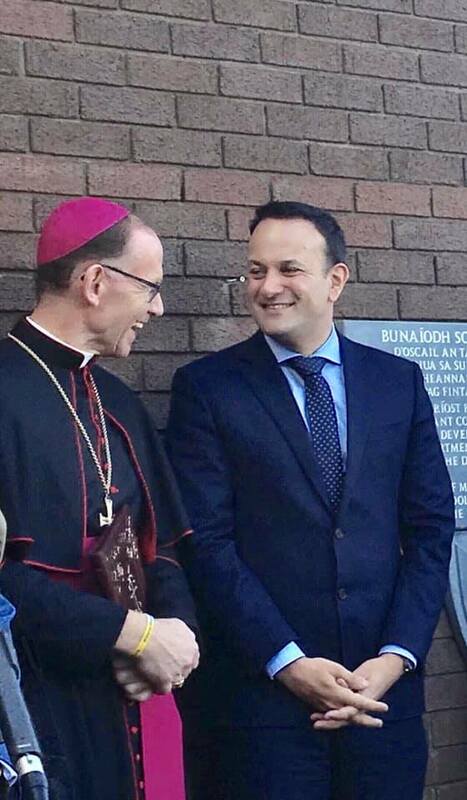 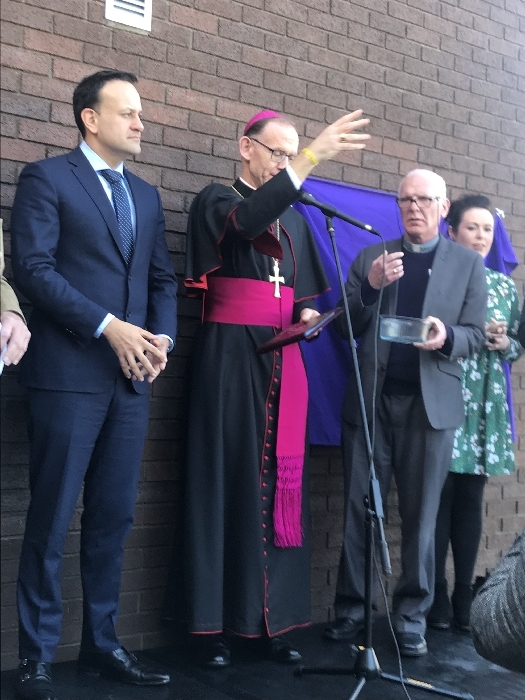 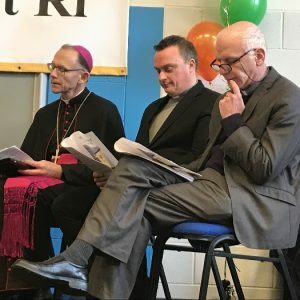 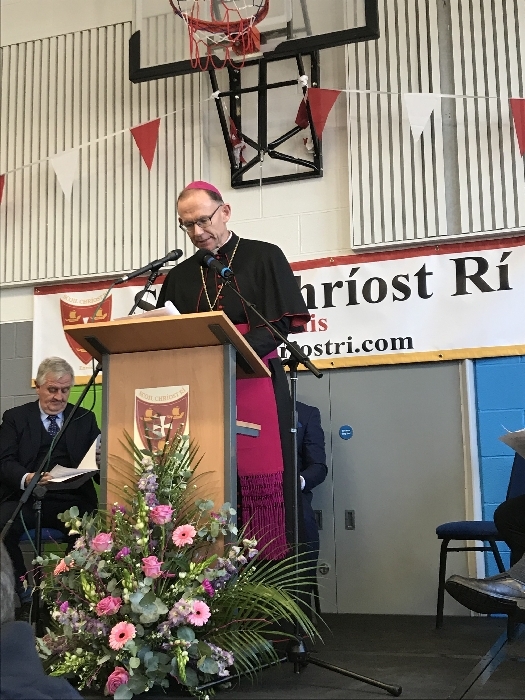 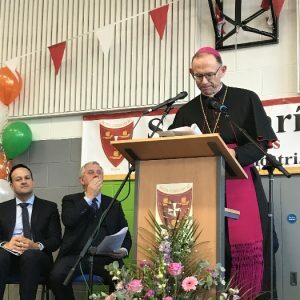 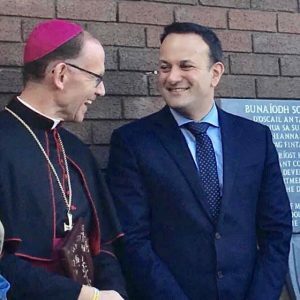 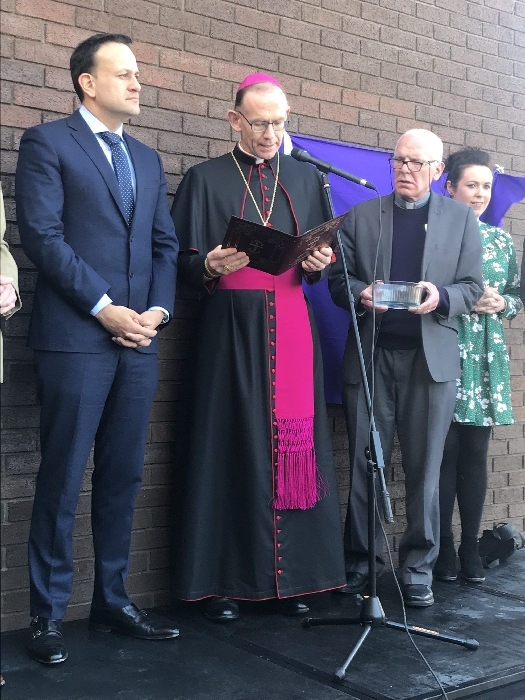 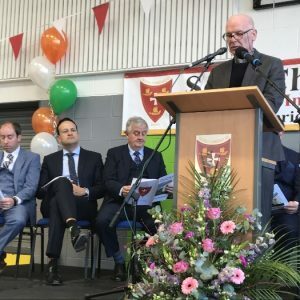 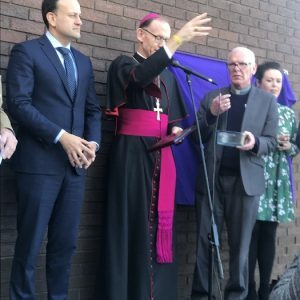 Bishop Fintan Monahan, Bishop of Killaloe, led the prayer service at the beginning of the ceremony and blessed the new school building. 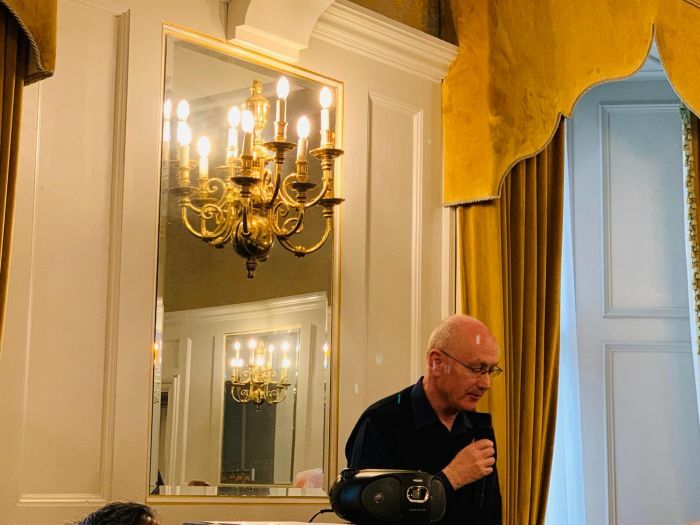 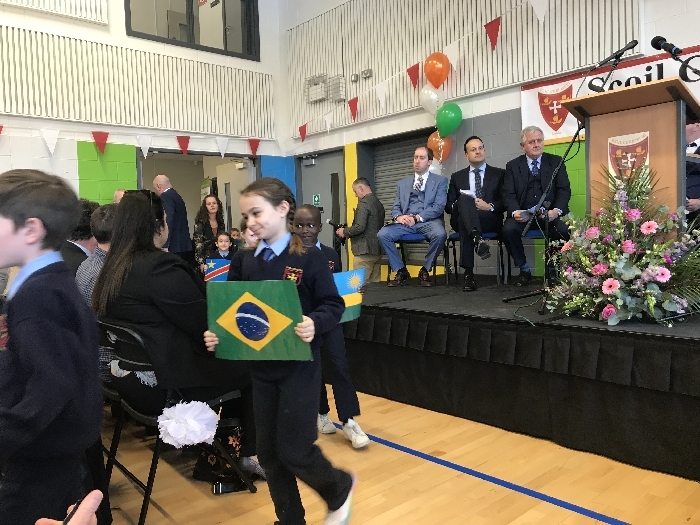 Geraóid Roughan school Principal and Jim Cooney Chairman of the Board of Management welcomed pupils, school staff and invited guests.